Are Ninjas on Santa’s Naughty or Nice List? I've been a good Ninja. I don’t bite my nails. I won't ask you for much, but I just want to see if these letters work. Some other Ninjas are getting smarter people to write their letters, but I write my own. I want a grappling hook and a ninja-to and an axe but my mother said that I have to stop throwing rocks and fighting. Please bring us a new Hombu Dojo, or keep the old one standing. I would like a throwing star and some nice things to eat. I am very fond of pie. I want a bank that you can't open so mama won't spend my money. Please don't put my axe in my stocking for you might stretch it. Bring my little brother Andrew something or else he'll punch my cat's eyes out. Give some Christmas spirit to all of the Bujinkan, so we all can be a great family around the world. I want you to bring me a sword that won't break when my brother Andrew throws it. You needn't bring Andrew anything. He's bad. I have a cat named "Zachy." Please put some chipped beef and waffles in his stocking for he is a good cat. Please show me how to travel through chimneys so i can visit and train with my Bujinkan friends all over the world. For Xmas I want a shikomi, a big red set of yoroi, and some boxing gloves so I can whip Andrew. Please bring me a few of Soke's videos, and a new baby sister--one that don't squall and make a fuss all the time. By the way, our fire place is all stopped up. Just ring the bell and I will let you in and show you where the stockings are. These are some of the things I want, too many to list them all. PM me and I can tell you the rest. Don’t pay any attention to those other letters I wrote you. That is all. Please don't bring us another baby brother. Sunday will stay in my memory as one of these days that makes life enjoyable. The sky was blue and the weather good, the air crispy. 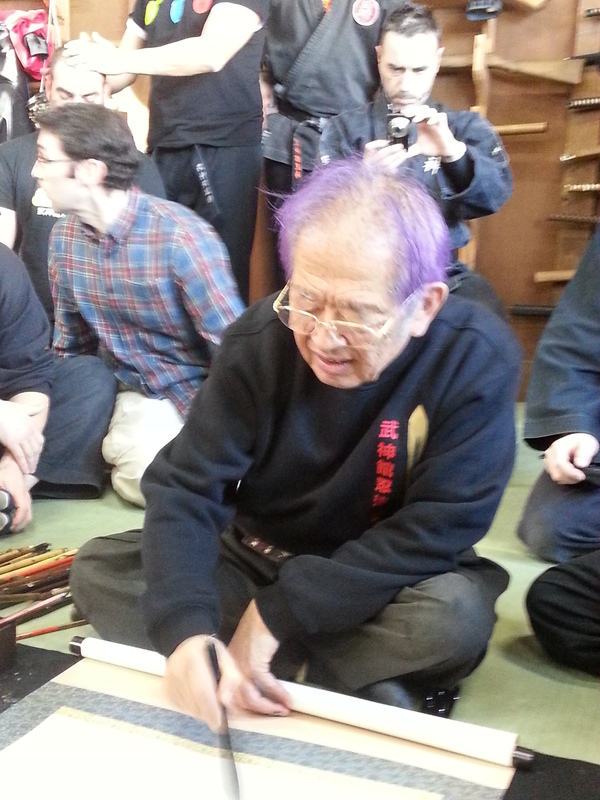 I attended the first class of the day with Noguchi who did his magic again, using the 3rd level of Shinden Fudô Ryû. As he has been doing it how for nearly a year he revisit these well known Techniques but twists them in a new manner so much that I’m totally lost. I love it! We did some donkey kicking (uma geri?) in all directions to Uke’s legs (front or back leg) with both hands on the ground and also hiting the body at tenchijin levels depending on the distance. We did some “shoehorn” technique where we hit butsumetsu with the forefinger turning it into a fist after impact. Some kind of Niken waza. Then it was sensei’s class. Unlike his usual behavior, sensei began the class without asking anyone to demonstrate. He was in a very good mood as it is often the case with him around his birthday. Receiving the punch he merely stepped forward and outside shielding the attack with the whole body. He said again that the theme of the year was Muto dori and that was not about defending yourself unarmed when facing a weapon. It is about moving fearless into the attack in a Mushin state of mind. The key to Muto Dori is to go toward the attacker with your guts. Sensei said that every move is like a triangle where uke and Tori represent the first two angles. Now the third angle is kukan or zero and this is not simply the interaction between the first two, no it is something more complex that is not definable. This world of the 3rd dimension, Sanjigen no Sekai is what the bujinkan has been working on since the discovery of juppo sesshô in 2003. Your intention or the lack of it moves the opponent by triggering or destroying any of his abilities making him move like a puppet, Tori being the puppet master. Muto dori is definitely the expression of natural power. Last night we had a very good class with Sôke where he spoke a lot about concepts. Seishin no jutsu 精神 の 術 was the general idea he tried to convey. Seishin means: mind, soul, heart, spirit, intention, and I have to admit that the variety of these meanings are all true. When sensei moved it look like he was doing nothing, playing only with uke’s mind. I was lucky to be uke a few times and each time I had the feeling I was totally lost. There was no danger, sensei was not violent, on the contrary, he was very relaxed as if not concerned by my useless attempts to get him. He explained later that this Seishin no jutsu was based on the concept of kyojitsu no Kûkan 虚実 の 空間, or to put it in other words, to understand the 虚実混交, kyojitsu konkô, “a mishmash of truth and untruth, a mixture of fiction and fact”. By “making believe” that reality is not and conversely, Sensei makes his uke react in a way that is always detrimental to his survival. Interacting with Inyo, and time and space at the same time, Sôke destroys our willingness to fight. 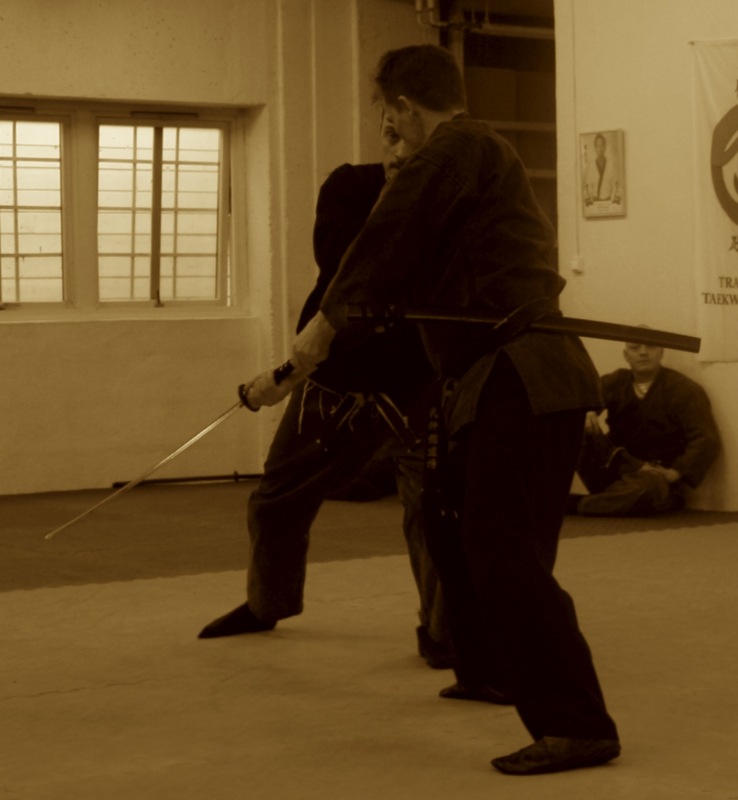 We have to develop this ability to act without intention (seishin) and not give any strength to the opponent. When sensei was demonstrating he said that it is done without grabbing but applied with the whole body. The difficulty is to “move” the attacker without really using force. This is when sensei added one extra level to his Seishin no jutsu by speaking of Zero no chikara ゼロ の 力 or 無 の 力, the power of Zero. The power of zero is what is experience when we take the Sakki 殺 気 test. In fact after this class I begin to understand the simple complexity of Hatsumi sensei’s vision. 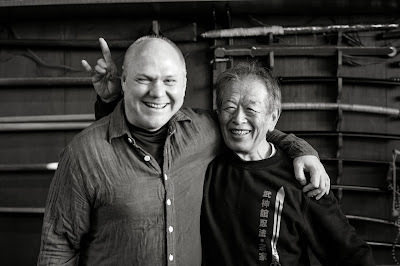 The bujinkan is about releasing the “natural movement ” and this is achieved when we are always one i.e. zero at the Sakki level. 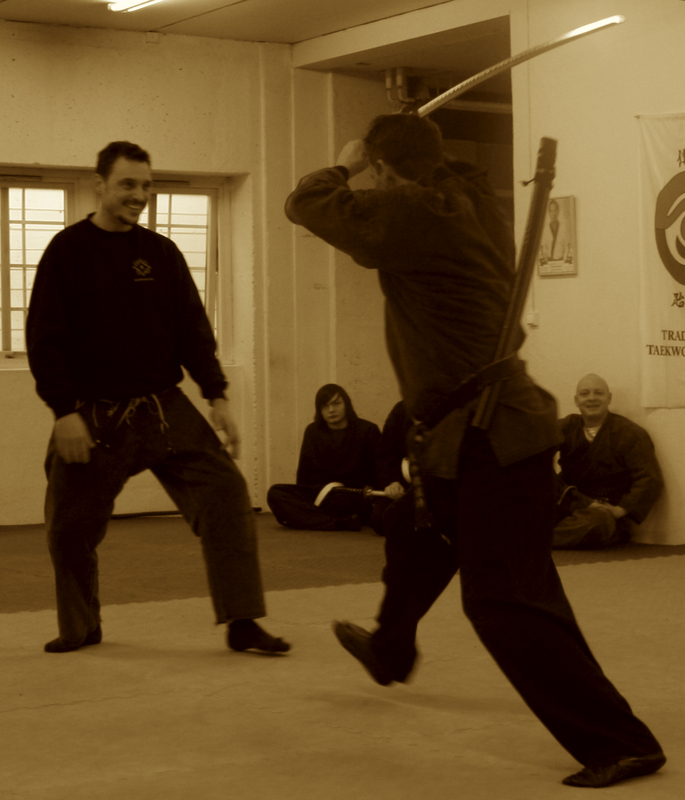 Last week in class with Hatsumi Sensei, he remarked that this year's theme is really hard. What he meant was not that it was particularly hard for him, but that it seemed hard for all of us to understand it. During all my classes with him this year, he has provided glimpses, feelings, and filled me with images of what he is leading us to in training. I think this type of imagery is the point in itself and a strategy for fighting. For many years, Soke has been advising us to move beyond common sense and technique. To do things that can't be understood. Because this type of fighting cannot be countered. It is a very Ninja strategy. So I was watching him get his ukes to jump this way and that around the hombu tatami. They were filled with pain, but also great mental confusion. In most cases they appeared to be fighting themselves. How do you get opponents to fight themselves? To do the work for you so you can just play? Soke gave us a tip that night that he described as 反応 映像 hannou eizou. You use the image of your opponent's reaction or response. Use the image that this creates in their mind. So they are fighting a mirage. Their own imagination. No enemy is more frightening than the one hidden in the dark corners of the mind. This is why Ninjas were so scary. Their invisibility and mystery left only people's imagination to fill in the blanks. Soke told us that to be able to do this in training you must simulate reality so that you'll be able to face it. Free up your imagination this way. He said that it is crucial that you get to a place where you are not trying to fight. You are not trying to do harm. You just keep going. Have this relaxed state of mind to keep going in the midst of danger. Not denying reality. But staying calm enough to see images or having this kind of imagination that will carry you beyond danger. The moment that you decide to fight back, that is where you will fail. Hatsumi Sensei said that if your mind is working too hard, it's just like you are whiting out everything. This kind of blindness to reality will make you the one fighting imaginary enemies. And they are really hard to kill.